Hay Bro Sis...One of the most popular sports motorcycle manufacturer in the world that comes from Italy, Ducati in 2015 is indeed so serious in the market pursue top class motor sport globally. Having previously motorcycle manufacturer that has pride red color announces the presence of several new products as well as the renewal of motor sport motor sport Ducati existing in preparation for 2016. It turns out these preparations do not get there alone. In proclaim that Ducati still add two new sports motor variants. The motor is Panigale and Hypermotard models that have a new engine variants for the year 2016. The news was also obtained from the information circulated that Ducati has been certified emission test for both the motor. From the information available, the document from the California Air Research Board has confirmed that indeed two models of motor sport and the latest 2016 models from other Ducati, will be shown at the annual automotive exhibition in Italy the Milan Motorcycle Show (EICMA) 2015. Where The auto show will be held in November. After the event is of course Ducati will prepare for mass production process that models the latest motor sport can be marketed in 2016. 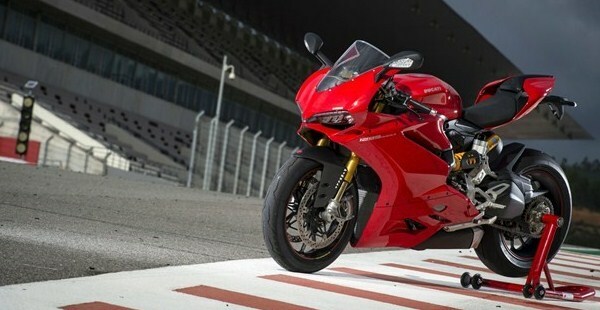 As quoted from page Visordown, Ducati Panigale 959 itself is capitalized with engine capacity of 955 cc. As for the model Ducati Hypermotard 939 has an engine capacity of 937 cc. The information was obtained from the emission test certificate that has been done by Ducati. From this information, it is known that the Ducati will be presenting three different variants for the model Hypermotard 939, ranging from Standard variant, SP and Hyperstrada.